There's something stunning about simplicity these days. In this day and age of rampant overcomplexity, it's rejuvenating for at least one artist to remember that only a couple elements are necessary for memorable music. 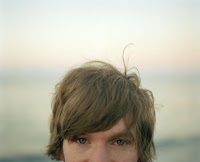 For me, this musician would be Olafur Arnalds. His most acclaimed album ...And They Have Escaped the Weight of Darkness captured our hearts with straight-forward tracks that were also emotionally complex, bouts of optimism accompanied with prolonged bursts of cynicism. It can actually be quite difficult to tell which emotion wins in the sparring matches contained from one song to the next; listen to "Kjurrt," for instance. It's so serene, so elegant, but it seems to possess a steady undercurrent of paranoia. And that's the main reason that Arnalds' music sticks with me, because it doesn't quite know what to make of itself. It reaches and reaches, grasping for the stars while keeping both feet on the ground. Arnalds creates his music by utilizing his piano in a couple of ways: first off, he develops a root note that provides a backbone for the song. Then, from there he experiments by stringing relevant notes together, not haphazardly but with restraint. From here he adds other instruments as he sees fit, strings contributing to the building tension. With all of these ingredients, we have a discography filled with emotion at every turn. If you haven't heard anything by Olafur Arnalds, the best place to start is ...And They Have Escaped the Weight of Darkness. Similarly to how Sigur Ros piece together comforting sounds, Arnalds comprises a collection of similarly haunting songs, comparable in execution but unforgettable in terms of how successfully they are as a whole. He's been experimenting with electronics in his latest releases too, and while the end results have been more dreary his ambition is commendable. I personally can't wait for Arnalds to create another huge album, and I'm not quite sure when it'll happen but it's inevitable.